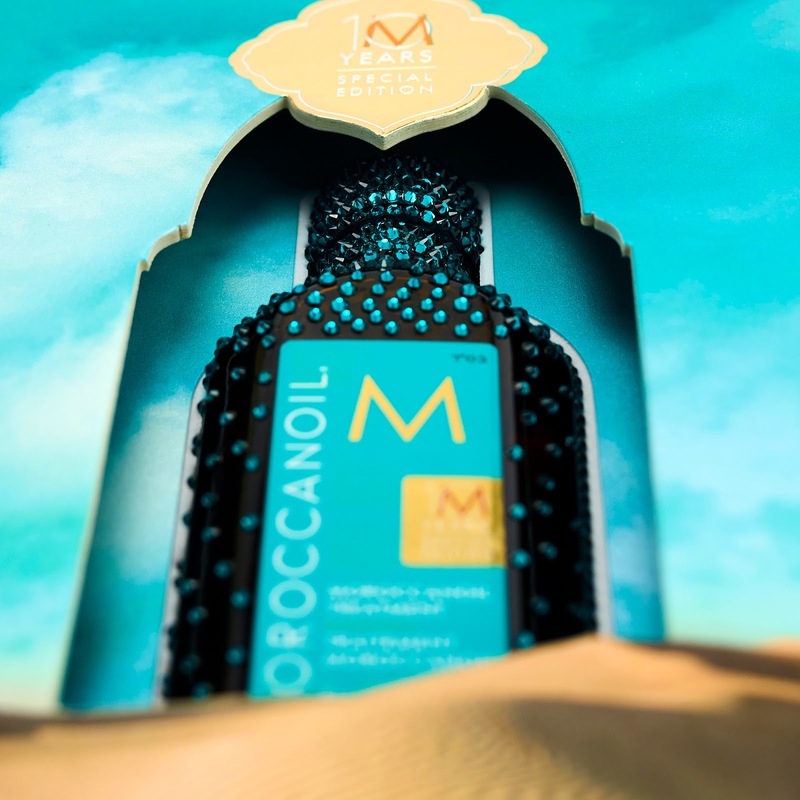 Moroccanoil products have been a stalwart of the hair salon for a decade, wowing stylists and beauty aficionados around the world with their ability to tame and nourish the most damaged of manes. 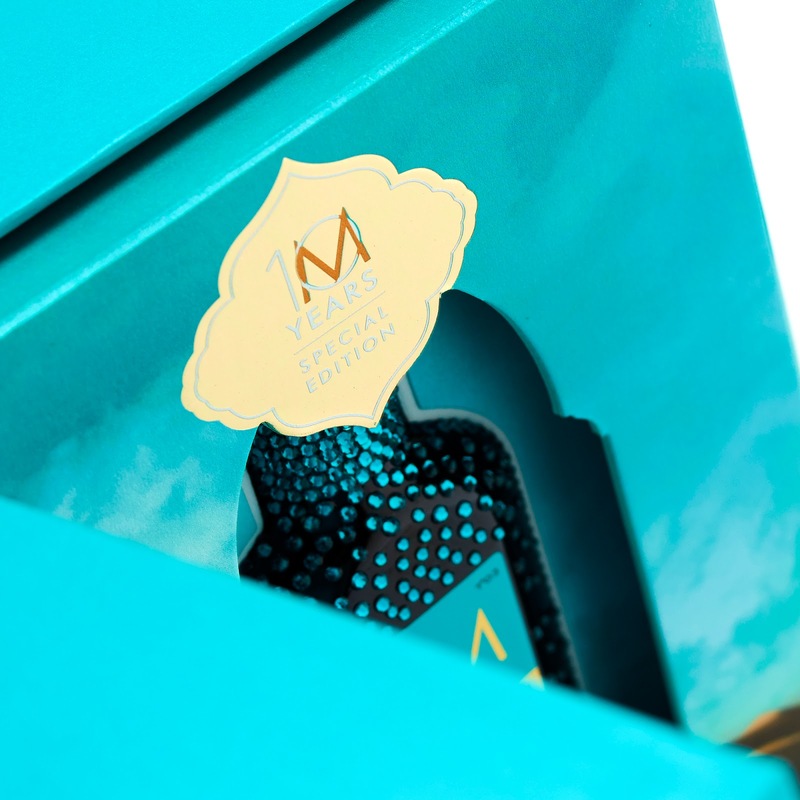 This year, the brand – which uses argan oil as a base for its hair and skincare products – is celebrating 10 years in the industry. 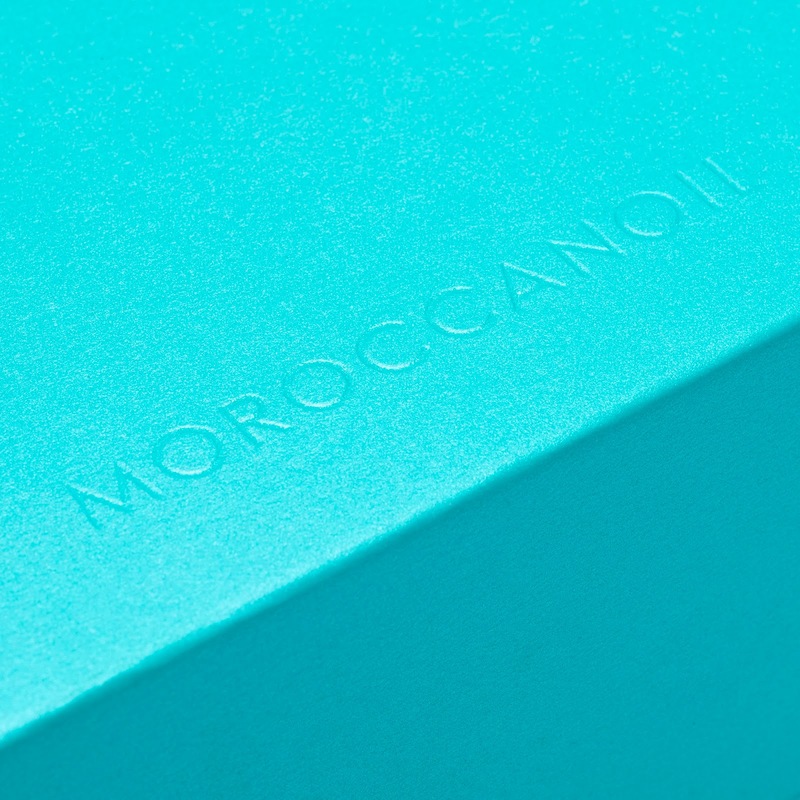 To commemorate the occasion, a gorgeous limited edition bottle for the iconic Moroccanoil Treatment has been created in collaboration with Swarovski. 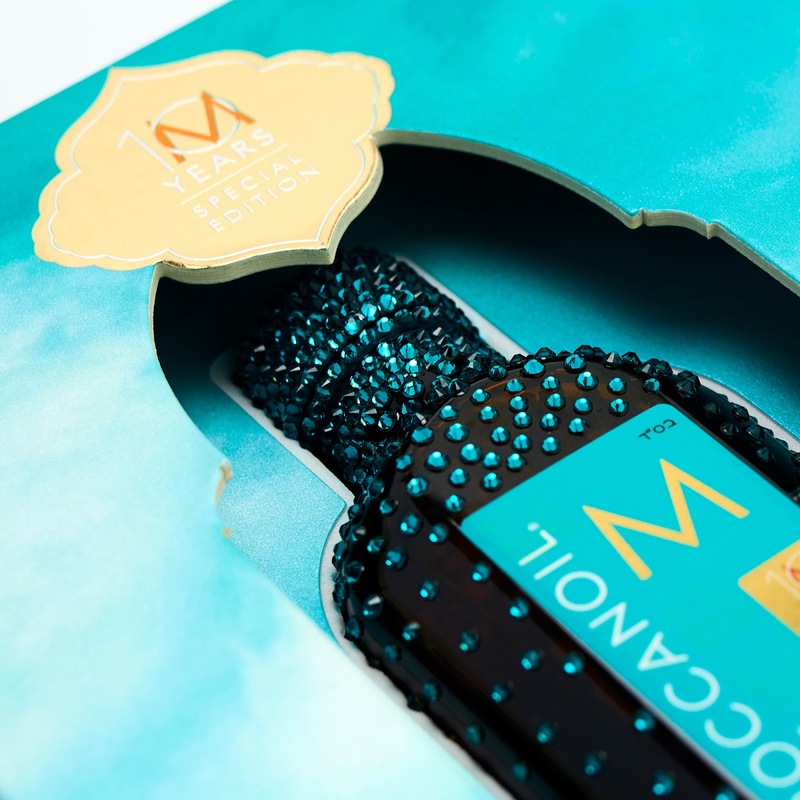 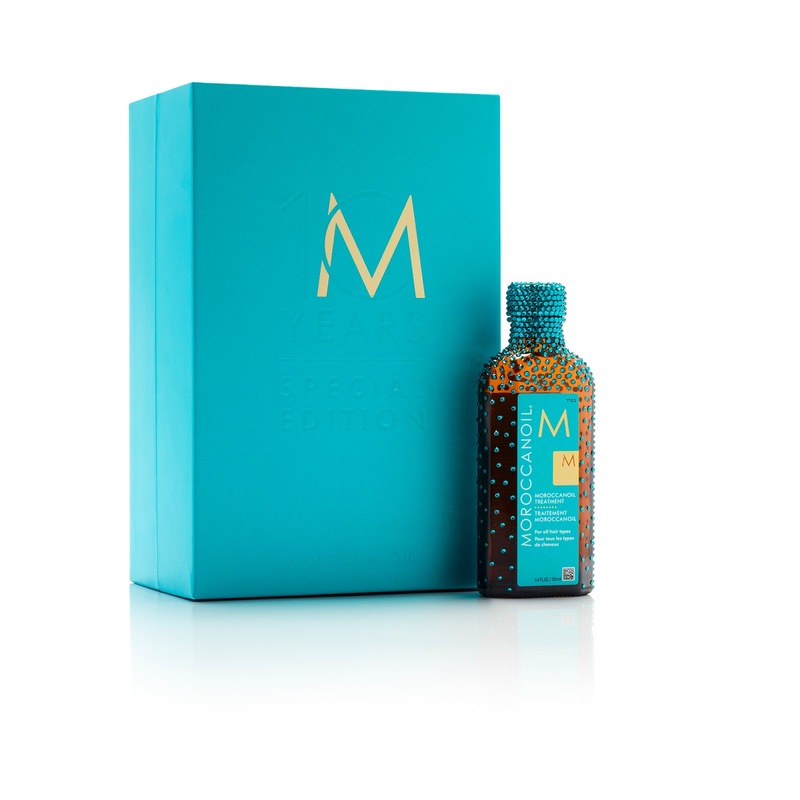 Bedecked in hundreds of turquoise crystals colour-matched to the Moroccanoil branding, this bottle also comes housed in packaging courtesy of MW Luxury. 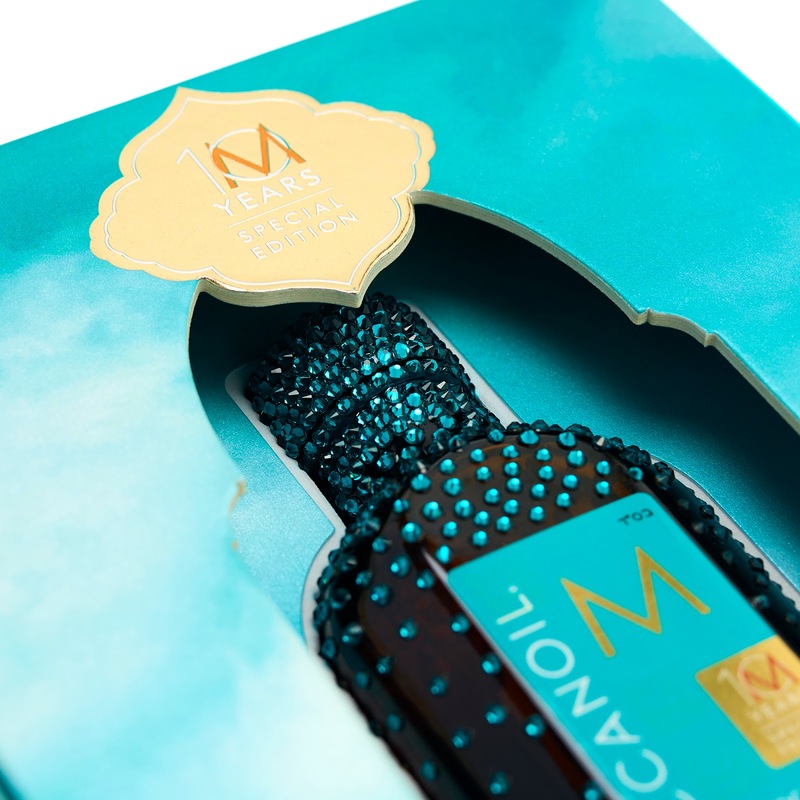 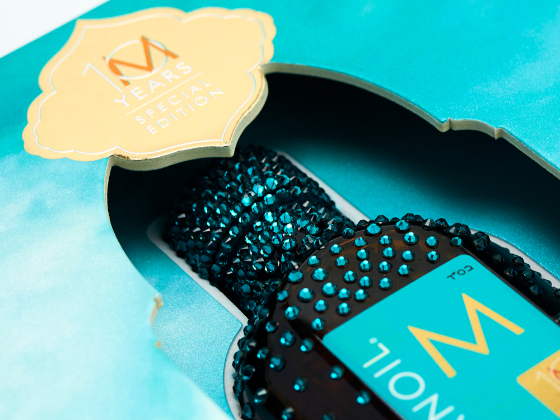 This special pack consists of a rigid board box wrapped in pearlescent paper printed with that striking Moroccanoil blue. 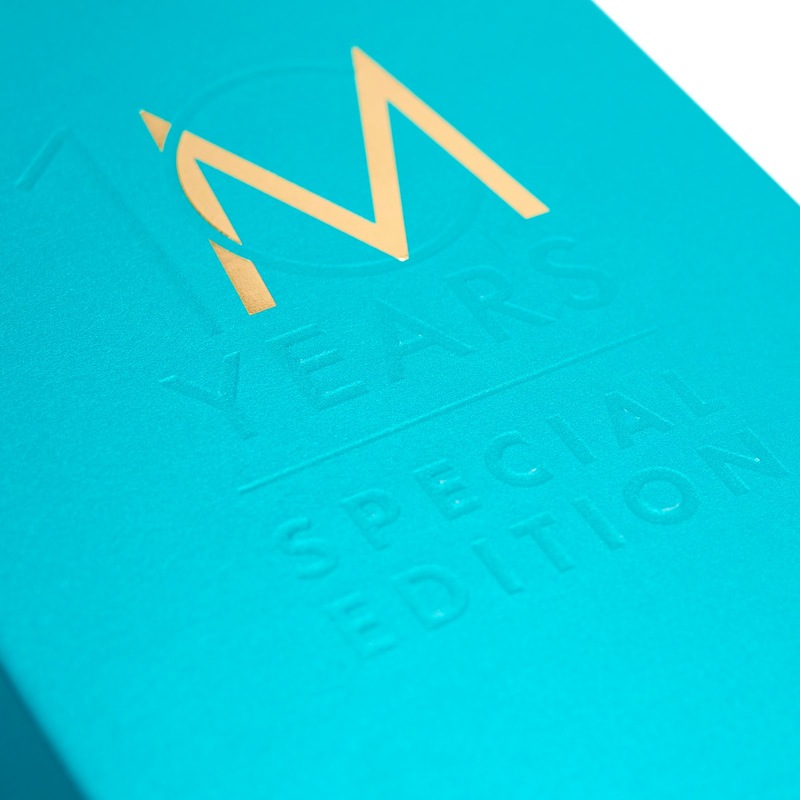 The front features blind debossed and hot stamped gold foil lettering, and opens outwards like a book. 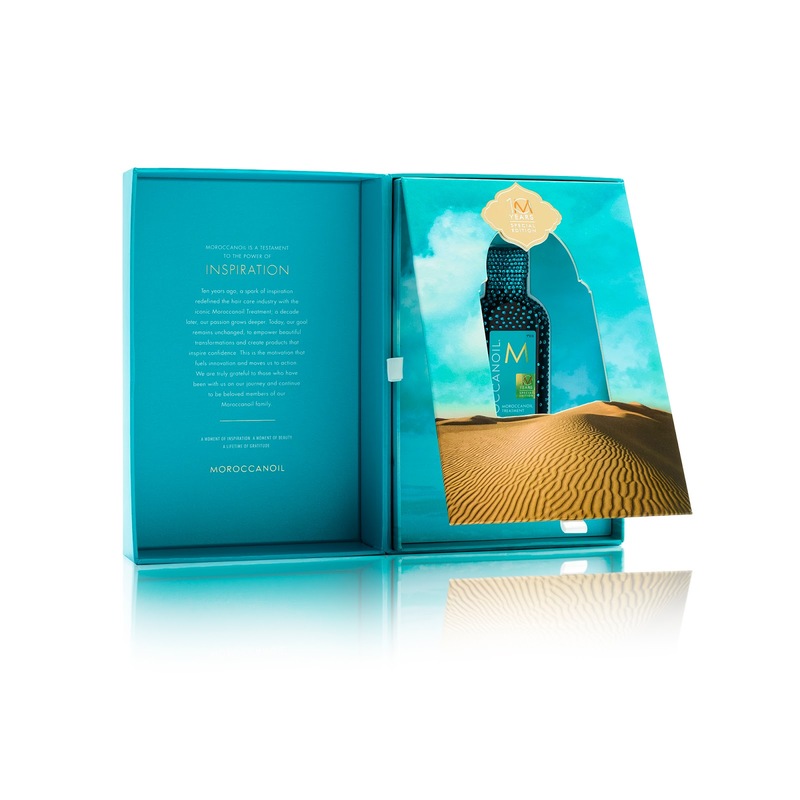 Inside, the bottle rests in a removable housing fitment topped with an illustrated platform that easily lifts upwards to allow access. 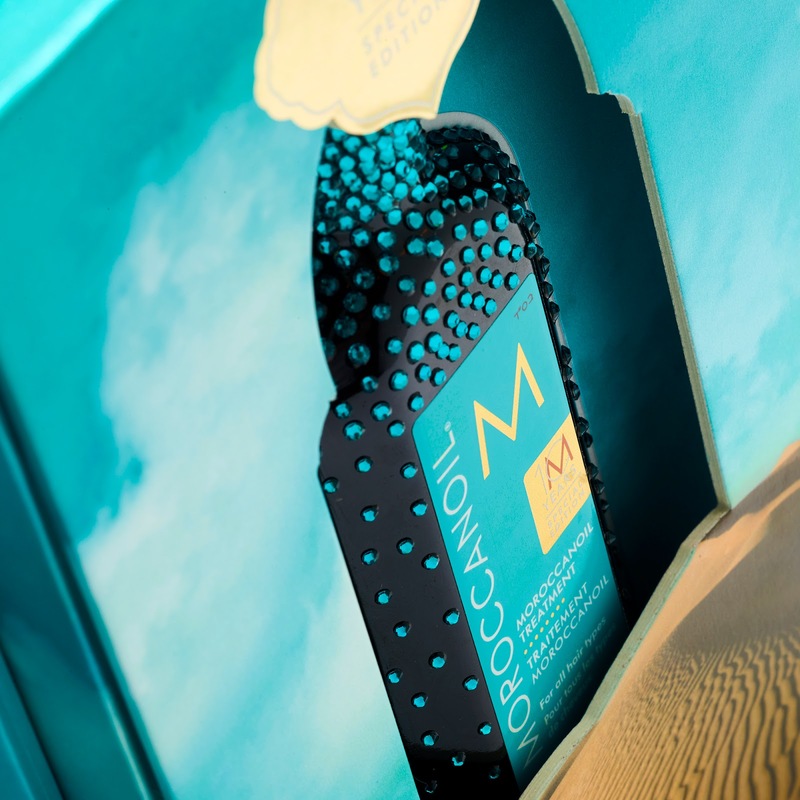 A die-cut window in this platform frames the bottle and creates a sense of depth and distance. 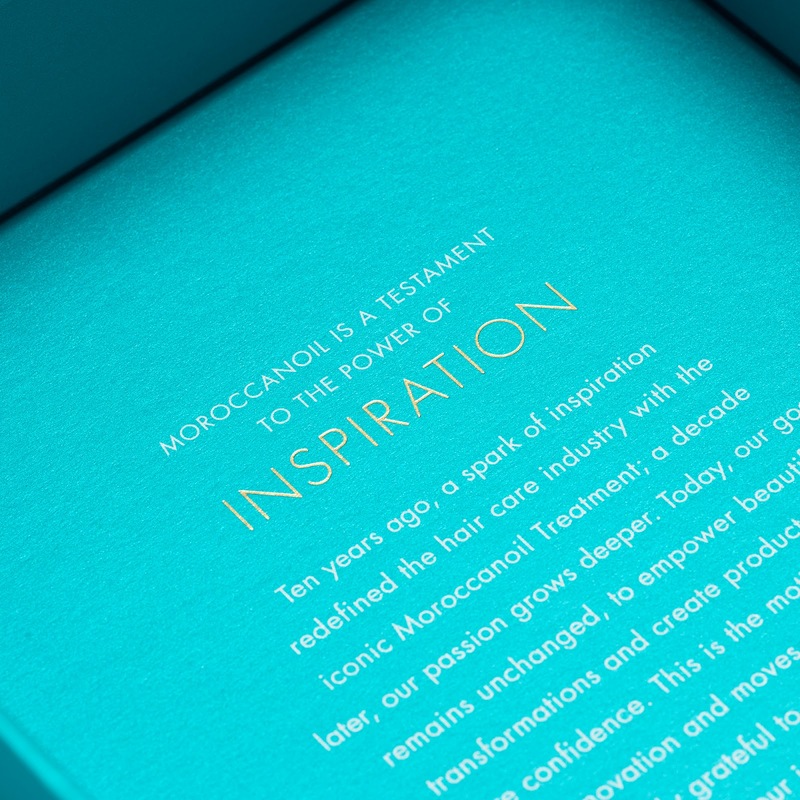 Opposite, the Moroccanoil story has been printed in white ink and gold foil. 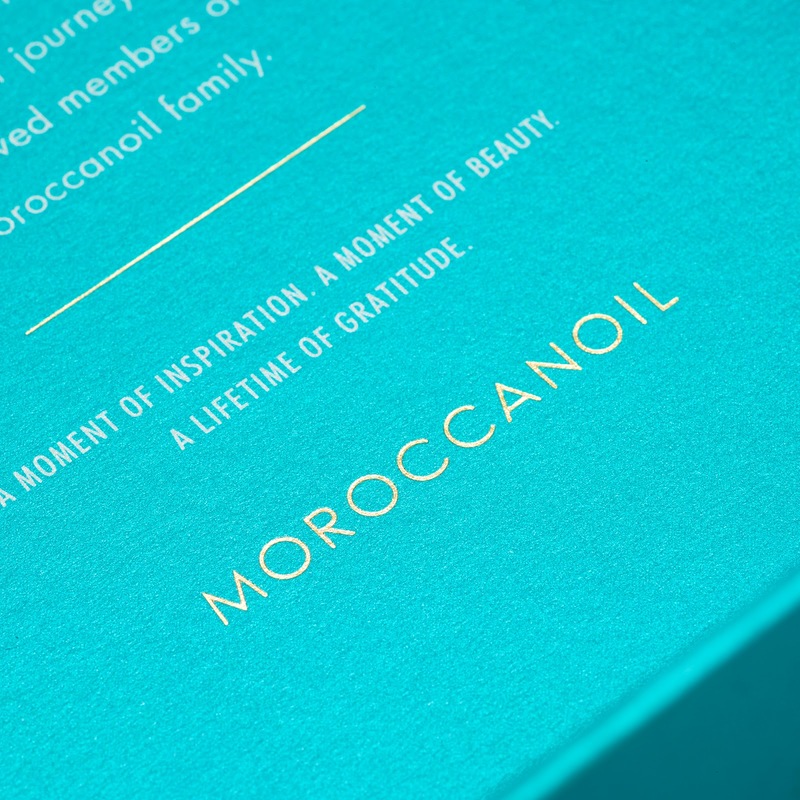 The interior design was inspired by Moroccanoil’s Mediterranean influences. 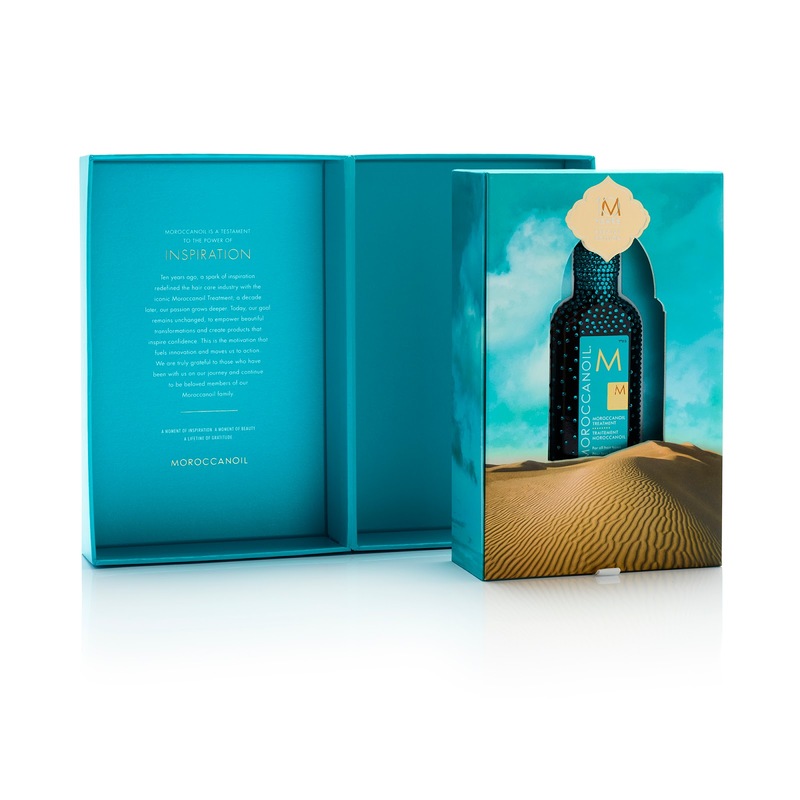 Both the covering flap and inner fitment display clouds in an idyllic blue sky; the flap also depicts a stretch of rippling red sand giving the visual effect that the bottle has been half-buried in a sun-baked desert dune. 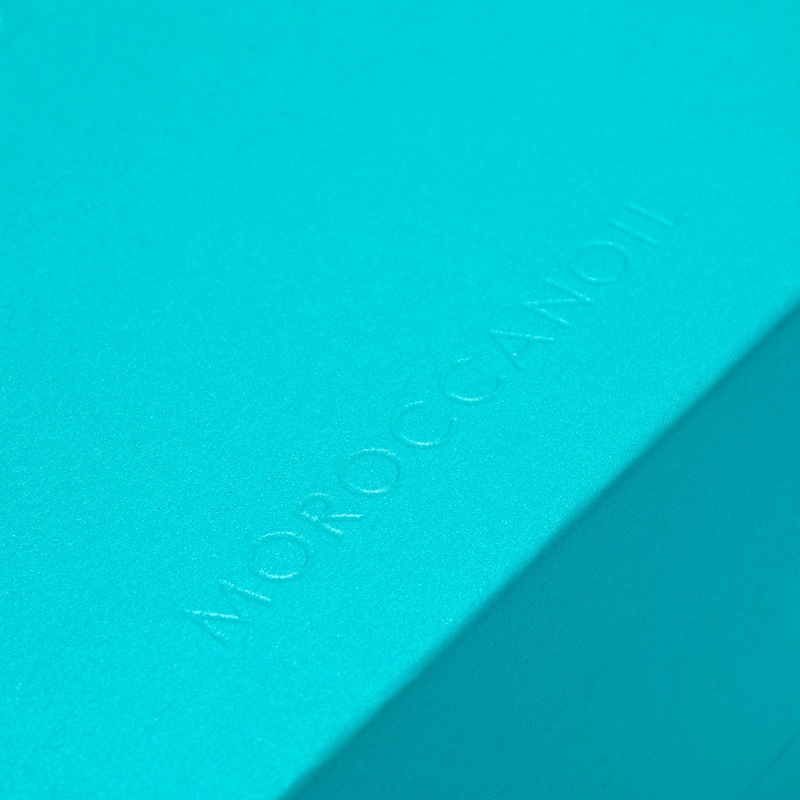 For the perfect finishing touch, CMYK transparent printing on pearlescent paper was used to give the sand a shimmering finish.